Home>Research and analysis>The case of spanish olives : did the European Union overreact by taking the issue to the WTO to defend decoupled aid ? On 25 January 2019, the European Union opened a WTO case against the United States challenging the introduction of anti-dumping duties on Spanish table olives and thus defending decoupled aid, the main type of CAP subsidies. While the trade war between the United States and China marks an important break with the precepts at work since the 1990s, we can wonder if the European Union has not lost its nerves by acting in this way . This reaction reveals two contradictions for the European Union. 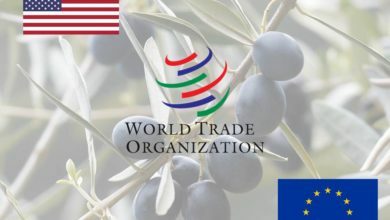 While it had just reaffirmed its desire not to talk about agricultural issues in the negotiations with the US, this referral to the WTO seems disproportionate knowing the economic significance of US taxes on olives. 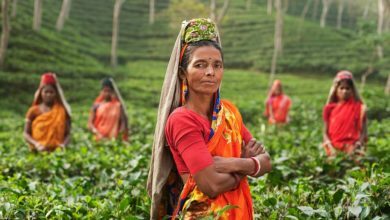 Above all, being the champion of multilateralism, the European Union has been putting the spotlight on the subject at the heart of the deadlock in the Doha Round since 2008, namely WTO rules on agriculture. Completely inappropriate for ensuring global food security, the EU is yet their last defender. 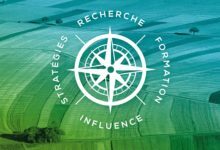 If the chances of success of this referral are more than slim, let us hope at least that the time of the procedure will be used to build a new European agricultural doctrine. Otherwise, the exit from this double contradiction could be at the expense of European agriculture. The case of Spanish table olives experienced a rebound marking 25 January 2019. 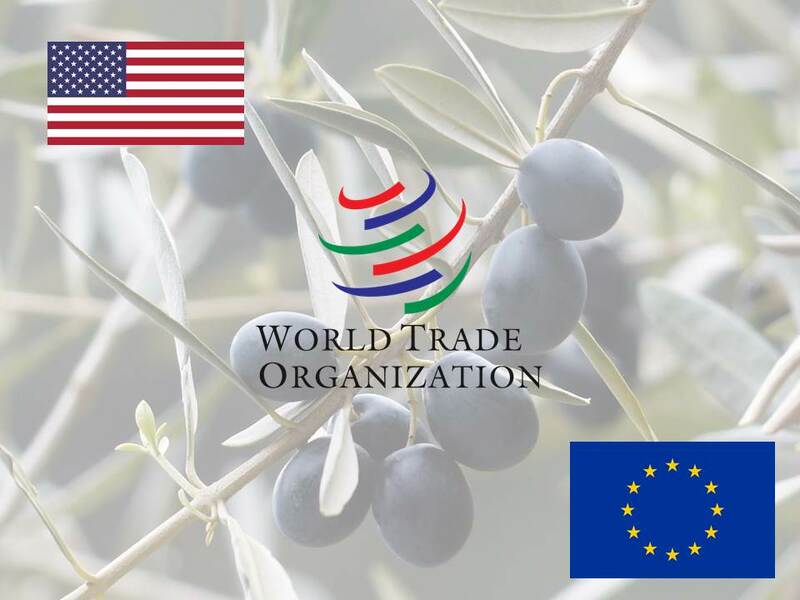 The European Union has chosen to open consultations at the WTO against the United States, which confirmed in August 2018 the establishment of anti-dumping and countervailing duties against imports of Spanish table olives. Californian producers had indeed seized a US federal agency linked to the Commerce Department to denounce the price of entry too low on the US market of this type of olives (for the details of the case). 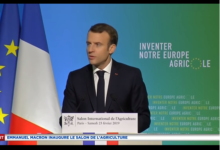 The investigation pointed out that this price was lower than the production costs more or less directly involving European decoupled aid, per hectare aid received irrespective of production and prices. Knowing that these exports represent only 70 million euros – to bring in the 35 billion decoupled European aids – and that this was a decision from a US federal authority, one would have expected that this case of Spanish olives falls below radars in full commercial war on steel and aluminum. Defending that these decoupled aids have no effects on production and trade, while they constitute almost 50% of the income of European farmers will be complicated. Also, we were among those who called not to put this sword of Damocles over the CAP while calling for an awareness of the need to change the foundations of a policy whose inefficiency in terms management of market crises, farmers’ income and the transition to sustainability is well established. Reasoning a risk of contagion to other European products, the European Union has, on the contrary, decided to counter-attack by opening hostilities to the WTO. After the 60-day consultation period, the procedure should be launched in a particular context for the Geneva authority: the blocking by the United States of the appointment of judges of the Appellate Body of the Dispute Settlement Body. Disputes (ORD) to lead the WTO to paralysis by the end of the year. US-EU bilateral negotiations: with or without agriculture? This decision came in the midst of a standoff between the Trump administration and the European Commission to define the framework for negotiations between the two blocs following the summit organized between Donald Trump and Jean-Claude Juncker in July 2018. While he first of all to save multilateralism and to remind the reason the tenant of the White House vis-à-vis the taxes he had imposed on European steel imports, bilateral negotiations were opened it is currently defining the scope. 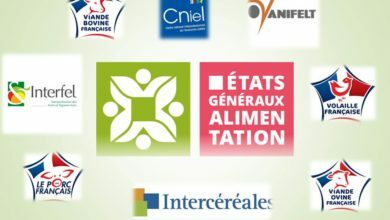 Knowing the sensitivity of farmers and farmers to the issues of agriculture and food security, and just a few months before the European elections, Commissioner Cécilia Malmstrom made a point of stating in January 2019 that agriculture would not be affected. . This positioning has the merit of being consistent with the European position on the WTO reform of last September in which agriculture is not mentioned, even though the blockage of the Doha Round is largely due to This folder. 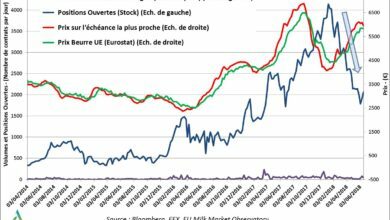 But the Americans do not hear it as well and the pressure has grown: the public statements of US officials have multiplied, recalling in particular that Jean-Claude Juncker had committed in July 2018 to the EU increases its imports of American soybeans. This confirms, according to them, that agricultural subjects should be put in the balance. In short, to Europeans who came to advocate dialogue and openness, we knew, on the American side, exploit the situation by offering them a long list of topics to negotiate among which include agricultural topics (see the US negotiating mandate). Beyond the European strategy in the negotiations that are opening with the US, the decision to attack US anti-dumping taxes raises a more fundamental European contradiction. Faced with President Trump’s unilateralism and his direct attacks on the WTO, the EU is positioning itself as the first defender of multilateralism and wants to be a force for proposals to defend the institution of international trade. To have rules-based international trade – and not the law of the strongest – and a forum within it, the DSB, to enforce them, is the main argument for WTO advocates. Some even present the WTO as the regulator of world trade. This representation nevertheless seems out of step with the action of the WTO specifically in agricultural matters and on the nature of its rules. Since its creation, the WTO has mainly been put forward to deregulate agricultural markets and eliminate stabilizing agricultural policies. The food crisis of 2007/08 is seen as a direct consequence of a WTO agricultural doctrine that simply removes the distortions caused by agricultural policies to allow markets to regain their equilibrium. And the Doha Round went into a deep coma in July 2008 when, wishing to renegotiate more multilateral rules in favor of world food security, the developing countries led by India were sent a plea of ​​inadmissibility by United States. As a “virtuous but isolated leader”, the EU remains the guarantor of a WTO agricultural doctrine that it is the only one to follow to the letter, since the US renounces decoupling. By continuing to defend inappropriate rules and making no proposals to start on a new basis, the EU’s responsibility to block multilateralism is very real. Also, by attacking the United States on Spanish table olives, the EU persists and signs! Rather than endorse the critics and work towards an aggiornamento of multilateralism, it goes to the end of logic. Should we see a renunciation of the Europeans’ political capacity to bring about a new path of their own? Be that as it may, the EU draws attention to a major contradiction in its position on multilateralism: it would like to be its champion, but it defends an inappropriate doctrine at the heart of the blocking of the Doha Round since 10 years. Before presenting the arguments of the European Commission to challenge US taxes, let us recall that the WTO authorizes the use of anti-dumping and countervailing duties in order to restore fair competition. These can be justified to offset a subsidy received by foreign producers. But then the proof must be made that the subsidy is specific, ie that it is targeted at a group of producers, and that in the end it distorts the allocation of resources in the country. That the decoupled aid received by Spanish olive growers is not specific is precisely the main argument that the European Commission has made to attack US taxes. Moreover, it states that there is no evidence that the subsidy is passed on to the processors. Moreover, it considers that the evidence has not been made of injury to US producers and disputes the calculation of countervailing duties (access to the file on the WTO website). It is thus noted that the multilateral right invoked here is the Agreement on Subsidies and Countervailing Measures (SCM Agreement) which deals with all sectors, and not the Agricultural Agreement which defines agricultural subsidies subject to reduction or not. On the one hand, in an offensive stance, the European Union is attacking US taxes, but on the other hand, it is surprising that no argument is made to defend decoupled aid under the rules on agricultural subsidies. 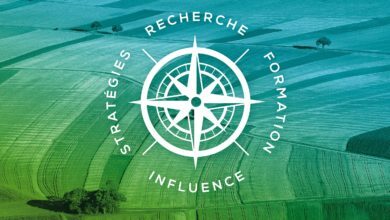 On the arguments relating to the transfer to processors, the damage to US producers and the calculation of duties, we refer to Jacques Berthelot’s analysis, which brings together the main elements emanating from the firm McDermott Will & Emery who prepared the producers’ complaint. US. 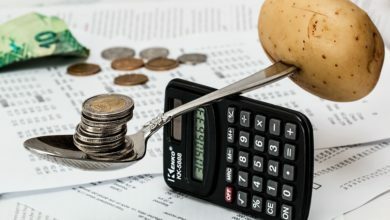 While some calculations may be discussed, the fact remains that the characterization of the effects of the subsidies in question seems undeniable. Remains therefore the main argument of the European Commission, the non-specificity of the subsidy, and again it seems unacceptable. In its request for consultation, the EU does not explain the meaning it intends to give to the non-specific nature of the subsidy in question. One can imagine that it highlights the fact that European farmers receive the same subsidy that they produce nothing or anything else. 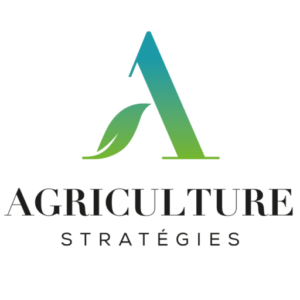 But reading the SCM Agreement, which is not specific to agriculture, we understand that the specificity does not refer to a product but to a group of producers or even a branch. Also, since decoupled aids are only available to holders of agricultural land, it is difficult to see how the WTO could decide in favor of the EU. The SCM Agreement provides that if access to a grant is limited or not automatic, then the grant is considered specific. In addition, the payment of subsidies to agricultural producers has a clear impact on the allocation of resources (capital and labor first, but also land) between different branches. Jacques Berthelot notes moreover that the cotton panel of September 8, 2004 against the United States already cut in this direction: “In our opinion, the industry represented by a part of the production of the United States [… ] constitutes a segment sufficiently distinct from the US economy to be considered “specific” within the meaning of Article 2 of the SCM Agreement. In the end, in view of the angle of attack chosen by the Commission, the United States could be criticized for having attacked only the Spanish table olives and not all the exported European agricultural products benefiting from the decoupled aids. . A height! However, the path of defense of decoupled aid by the good respect of the green box criteria, a path not chosen by the Commission, would not have been more interesting, since decoupled aid is paid “on the the factors of production used in a year following the base period “(criterion 4 of Article 1 of Annex 2 of the Uruguay Round Agricultural Agreement). The members of the WTO panel will also be able to push the point by mobilizing empirical work that highlights the 4 economic effects of decoupled subsidies (labor supply, entry-exit condition, attitude to risk, investment capacity ). In short, the chances of success of the EU are more than slim, and to avoid this complaint to the WTO leads to a harakiri fatal to the CAP, it is high time that the EU rethink a different trajectory to its policy agriculture and a new position in agricultural multilateralism.